If our website document directory does not have an index file, that time the Apache web server will show all the files and folder of the document root directory. Like as below image. This feature could be turned off for a specific directory through 'options directive' available in the Apache configuration file. Edit apache virtual host file. Apache displays its version, Server OS and Port Number where any page not found in websites. In order to prevent Apache web server from displaying this information, we have to modify 'server signature' available in the Apache configuration file. 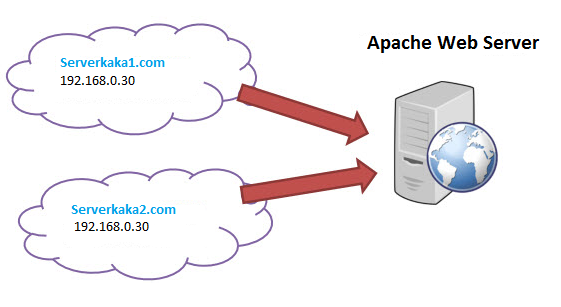 Using Apache Name Based Virtual host we can run multiple websites on a single server. Point your both domains to your server's public IP. In order to configure name-based virtual hosting, you have to set the IP address on which you are going to receive the Apache requests for all the desired websites. You can do this by NameVirutalHost directive within the Apache configuration file /etc/httpd/conf/httpd.conf file. Now, Restart Apache and Test. So today We set IP to Domain Redirection in Apache. Using RewriteEngine rule. Insert following code into your <VirtualHost *:80> file. and replace highlighted text with your IP and domain name. A software utility to a Linux operating system or server for a job that is to be executed at a specified time. A Linux system admin knows the importance of running the routine maintenance jobs in the background automatically. Linux Cron utility is an effective way to schedule a routine background job at a specific time and/or day on an on-going basis. Often, you will want to use cron to schedule daily, weekly, hourly etc... tasks on your Linux system. Ok, so cron is what is used on your Linux system to schedule repeating events. It’s used to rotate logs, run clean-up scripts, and anything else you can think of that you’d want to schedule. This crontab executes the "/root/backup.sh" script at 3 PM on every day. Also, You can run multiple scripts or command in one crontab using (;) semicolumn. Gitlab is web GUI based manager for git repositories with support for CI\CD, issue tracking & wiki. Gitlab provides easy to use commands & controls for the git repositories, we can easily create new git repositories, manage them & all that using a nice graphical interface. With Gitlab, we can make our repositories completely private or can also allow public access over LAN or over the internet. Gitlab CE ( Community Edition ) ##This is the free version. 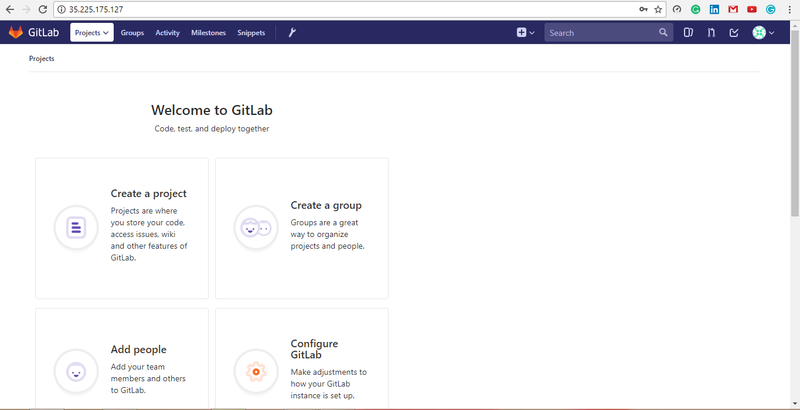 Gitlab EE (Enterprise Edition) ##This is paid version. Change the highlighted text in command to the URL at which you want to access your GitLab Server. And please wait sometimes it takes time approx 30 minutes (depending on internet speed). Here is some basic Linux command which can help you use more easily day to day Linux system. Show amount of free disk space on all attached filesystems. Show amount of free memory. Search through a specified file for a word or phrase. First, specify the word, and then the file to be searched through. View the manual page for a specified command. Simple text editor. Hit Esc +:wq for saving. Move file or folder. Also use for rename files/folders if a new destination is not specified.